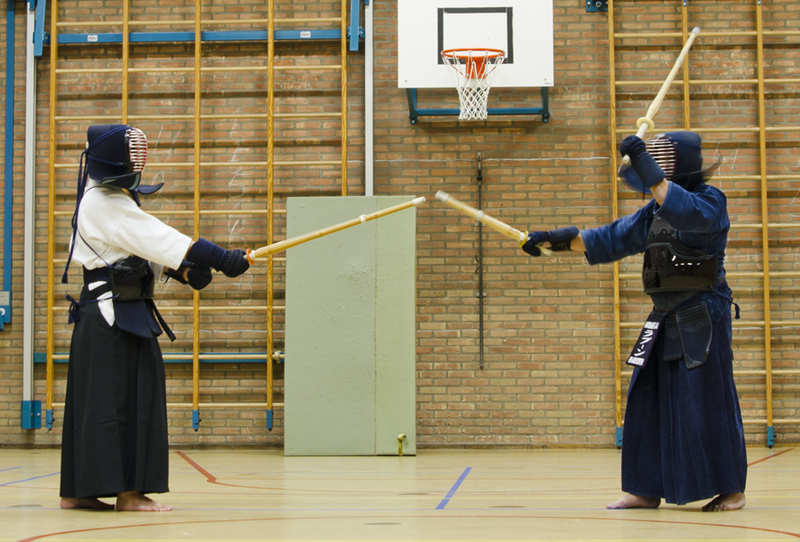 The literal meaning of Kendo is "way of the sword" and it can be described as Japanese fencing. 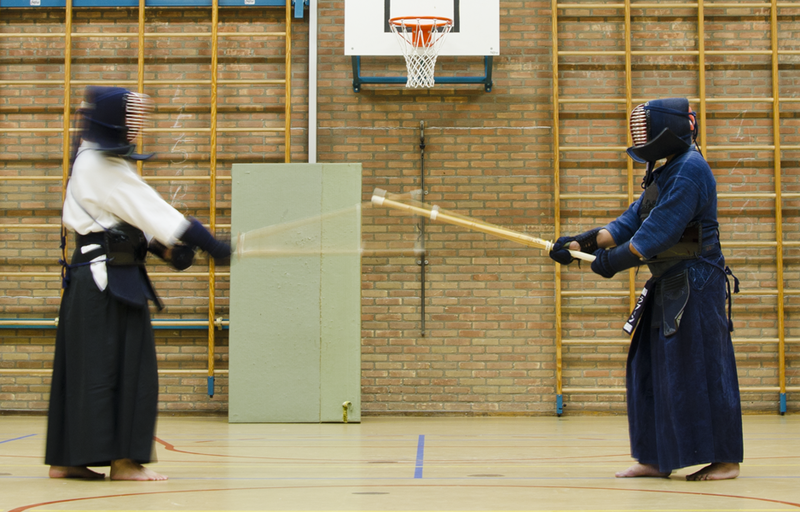 Kendo is an explosive full-contact martial art. 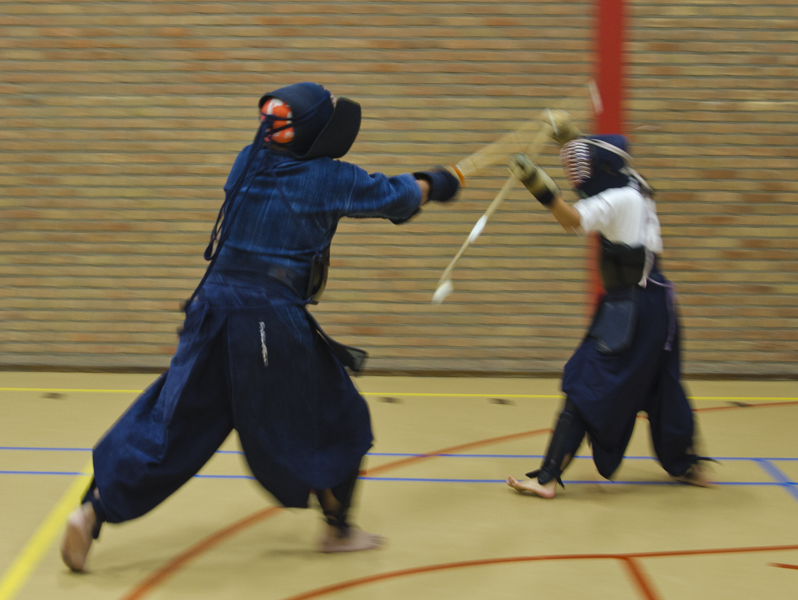 The kendoka uses a bamboo practice sword (shinai) to aim for certain targets on the armour (bogu) that protects the opponent. These targets are the (upper) body, the wrists, the head and throat. During combat there will be no time to think. Therefore the kendoka must be able to act without thinking. This is only possible when body and mind are in harmony. This can be reached through intensive training. Besides being an intensive physical training, kendo is also a mental training. The kendoka develops a strong, flexible mind and respect for others. 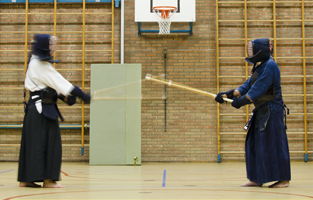 The modern kendo came forth from traditional Japanese sword techniques (kenjutsu). These sword techniques were practiced by the military clans and samurai and were developed for conduct of war. As practicing with real or wooden weapons led to serious injuries people started to train with swords made of bamboo and light protective armour. During the Meiji-period (1868-1912) carrying a sword became forbidden in Japan. The accent shifted to spiritual grow and development of self.